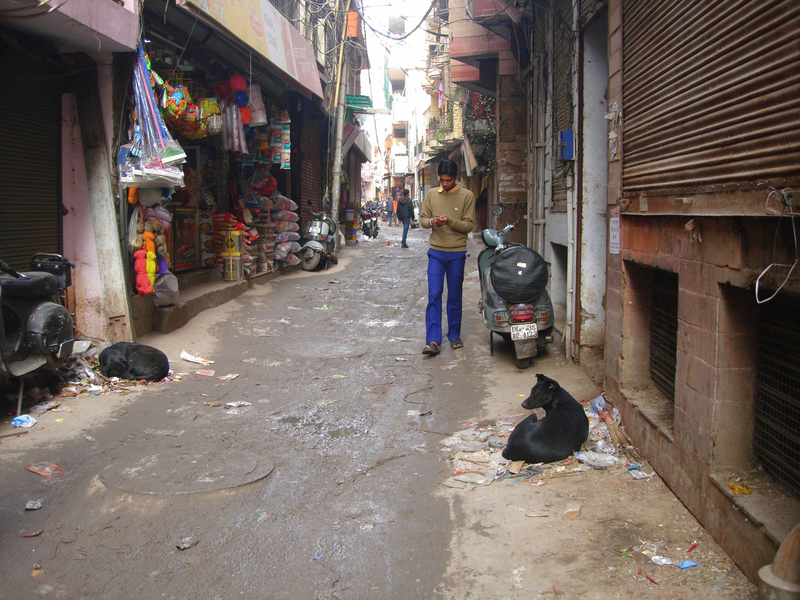 I am excited to be working in New Delhi, India this summer with the residents of Zamrudpur urban village, to use design interventions in their streetscape as a means to draw visitors into the community and start important dialogues to address prejudices against such marginalized communities and their residents. I will be carrying out the project in collaboration with Adhyayan, a community driven NGO focused on empowering youths from marginalized communities by teaching them valuable skills and resources that are otherwise denied by social, economic and cultural circumstances. Existing as agricultural villages previously, and then subjected to different municipal laws, urban villages share an uncomfortable relation with the rest of the city that engulfed them in its rapid globalization. Today most urban villages in Delhi suffer from a lack of proper infrastructure, and the social and economic marginalization of their residents. A clear example of their exclusion from the urban discourse is the exclusion of their presence on Google maps in today’s tech-based world. Working with Adhyayan and the youth of the village, I hope to facilitate the process of the residents coming to understand their role and status in the city, and raising their understanding of themselves as active agents. The project will be split into 3 phases – design charrettes and mapping exercises, installation creation, and pop-up performances within the village, with the goal to have the residents open up their community to outsiders. Limiting my role to instigating and facilitating the ideas, the project process will be self-driven by the students, teaching them skills in organization, collaboration, and management of resources among others. This summer the village children become the hosts and ambassadors of their village to create a “secrets” map of their village. The main aim will be to target perceptions of discomfort and hostility through navigation of socially different spaces for an outsider, thereby affecting their interactions with the locals in that place.